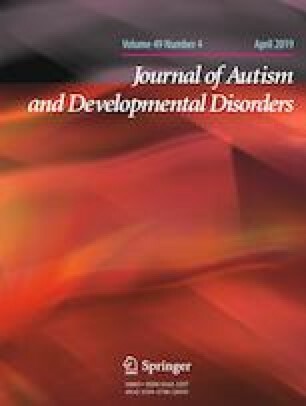 This study aims to translate the Brief Autism Mealtime Behaviour Inventory (BAMBI) questionnaire to Brazilian Portuguese, in order to provide a tool to be used in clinic routine that encourages the evaluation of the feeding behaviour of patients with Autism Spectrum Disorder (ASD). The final sample contained 410 participants, the mean age was 9.58 ± 1.2 and the majority of participants were male (95%). Validation of this questionnaire allows a structured evaluation for this population to be integrated not only into the clinical routine but also to help parent’s interventions about the eating problems and possible consequences. This is of utmost importance, since parents are reporting the nutritional aspects more often, and studies indicate that up to 80% of ASD patients may present feeding behavior problems. The online version of this article ( https://doi.org/10.1007/s10803-019-04006-z) contains supplementary material, which is available to authorized users. The authors gratefully thank Dr. Lukens, the author of the original questionnaire that was used in this paper. KC was supported by Coordenação de Aperfeiçoamento de Pessoal de Nível Superior (CAPES). GP was supported by Fundação de Amparo a Pesquisa do Rio Grande do Sul- Hospital de Clínicas de Porto Alegre (FAPERGS-HCPA, 2017) and Bolsa de Iniciação Científica- Universidade Federal do Grande do Sul (BIC-UFRGS, 2018). KC conceptualized and designed the study, drafted the initial manuscript, collected data, carried out the initial analyses, and critically reviewed the manuscript for important intellectual content; IP conceptualized and designed the study, drafted the initial manuscript, and critically reviewed the manuscript for important intellectual content; GPF collected data, carried out the initial analyses, interpreted the data, and revised the manuscript. JM collected data, carried out the initial analyses, interpreted the data, and revised the manuscript. MB collected data, carried out the initial analyses, interpreted the data, and revised the manuscript. RR conceptualized and designed the study, drafted the initial manuscript, collected data, carried out the initial analyses, critically reviewed the manuscript for important intellectual content. All authors approved the final manuscript as submitted and agree to be accountable for all aspects of the work. This study was funded by Fundo de Incentivo à Pesquisa e Eventos-Hospital de Clínicas de Porto Alegre (FIPE-HCPA) (Grant Number 16-0581).